With time differences in all, I was able to leave London at 12 noon and arrive back in Los Angeles in the evening. The previous, night we had arrived back from Istanbul at night – I spent one more night in London and headed back to the airport in the early morning. Most of the flight was during the day and since I got a window seat for both flights, I was able to see the view outside. This photo was taken after my flight across the pond where I had a stopover in Newark, New Jersey for a few hours. 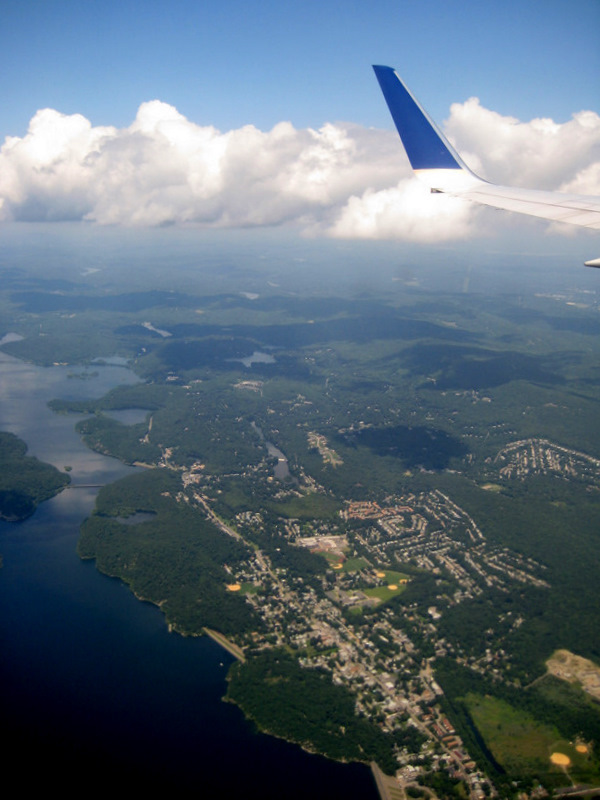 As we descended, we flew through white clouds and over the water and greenery of New Jersey. It was a long day of traveling, but I like to think of the journey as a part of the adventure of the trip!